Your natural accommodation choice in the heart of Margaret River. 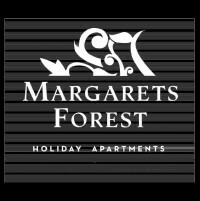 Margarets Forest AAA Four Star, Self-contained luxury apartments are set right in the Margaret River town centre, adjacent to beautiful state forest. Are you visiting Margaret River to experience the inimitable nature across the region? Have you chosen Margaret River for its gourmet wine and food trail? Are you seeking to bask in the world-class swimming and surfing beaches? The friendly and knowledgeable staff will graciously work with you to ensure you have a wonderful time in this magical wine region. You will find these WA Tourism Award winning apartments in the heart of town, next to the Visitor's Centre, connecting with nature trails and offering easy access to Margaret River restaurants, shopping, galleries and bars. I have stayed here twice and love this place! Great location to be able to walk in to town. Apartments are lovely and we had a great view of the forest. Will definitely stay at Margaret Forest again. Excellent service and beautiful location, fully equipped and spotless. Very comfortable rooms and affordable peices. Great service. Great setting.Beds hard as rocks.Couches very uncomfortable.Curtains need repair.Taps make dreadful noise.loved the trees and the birds.